We all need to be organized before those kiddos burst through the doors on the first day of school. 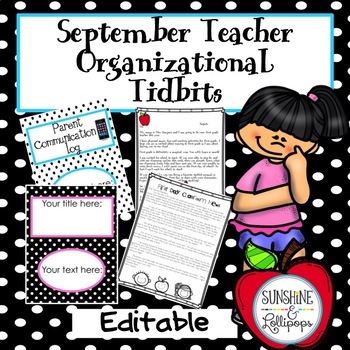 This 29 page packet has editable communication ideas that every teacher should have in their “pocket” as well as binder covers to edit for whatever you need and all pages are ready to edit, print and use before school starts! Simply add text boxes where needed and type away! My letters are in full form to give you some ideas but they can easily be edited to meet your needs by deleting and typing your text in the text boxes! 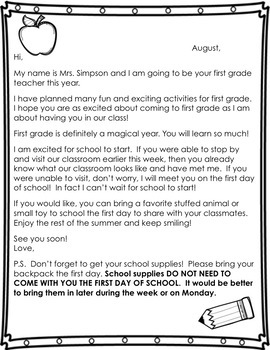 ☏ Welcome to Our Classroom Student Letter 2 different versions to use and edit. 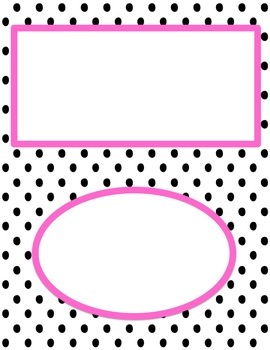 They include my letter that you can edit to make your own or start all over! 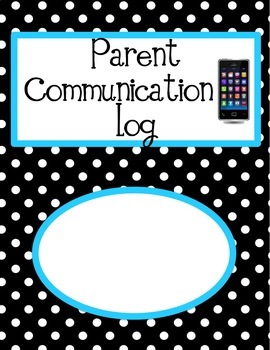 ☏ Multiple Blank and parent Communication Binder covers from which to choose and use for other organizational ideas.These can only be found in this resource! ☏ These are all In ,strong>Power Point with graphics flattened. I tried to use generic fonts, but they can easily be changed to what you like or have in your computer. ☏ If you need anything changed to fit your needs, please let me know through the question section of my shop! TUESDAY TIPS: TIPS AND IDEAS TO BECOME YOUR BEST SELF AND THE BEST TEACHER YOU CAN BE!! !